Planning a hiking trip at Zion National Park can be little bit challenging unless you prepared well and planned properly to explore the park to you are content. 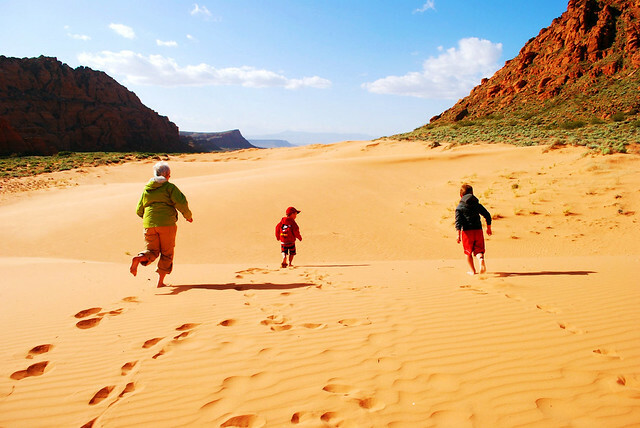 Proper planning and guidance can help you explore the beautiful Zion, as it has several things to offer to all visitors and of all age groups. Make a hiking trip to less crowded area at Kolob Canyons for a peaceful hiking. It is located in the northwest direction of the park and it takes about 42 miles drive from southern entrance of Zion. The altitudes of the Kolob trails reach up to eight thousand feet and gives cool summer weather in the middle of ponderosa and juniper pine forests. One of the popular activities in Zion is Rock climbing, which offers thrilling experience to the expert hikers. Short walls, the climb includes prodigal son, Touchstone and moonlight buttress. The scenic drive at Zion Canyon offers the best view of the entire park and the drive can be completed in a day visit. Utah 9, the Zion Mt. Carmel Highway goes down almost 2,000 feet from the elevated mesa country at the east-entrance to the lower south-entrance. Start the drive in the east, you can observe the Zion Mt. Carmel tunnel, and take a look at sandstone beds at Checkerboard Mesa. Take one mile walk at Canyon Overlook; you will complete the round-trip trail, now you can view the famous Virgin towers and West Temple. Zion offers around 120miles of best hiking trails which ranges from simple to expert and it will keep visitors of all age groups excited for days. The 4.2 miles round-trip to Weeping rock hike gives the most exciting moments as it is mostly a smooth trail. The hike completes at rock alcove where you can find hanging wildflowers and springs. It takes 2 mile round-trip to Riverside Walk with minor drop-offs. The smooth trail continues to the Virgin River beside the base of a narrow canyon. Take a Two mile round-trip to Middle Emerald Pools; the hike gives exciting experience with steep drop-offs. The trail-loops to the middle and lower pools are overflowing with apparent emerald-green water. But here wading and swimming is not permitted, totally prohibited. A 14 mile round-trip Kolob Arch hike with no drop-offs, but still the hike is very tiring. It leads to La Verkin Creek and Timber Creek and completes at isolated Kolob Arch. The park offers the gorgeous and unique verity of wildflowers and richest plant in Utah, around 900 species and 100 exotics. And the park is home for more than 78 different kinds of species and mammals including coyotes, mule deer, elk, porcupines, and big horn sheep, 17 varieties of bats, and rare mountain lion and black bear. And 291 bird species are living in the Zion wild Park happily including the endangered Peregrine falcons, California condors, bald eagles and Mexican spotted owls. 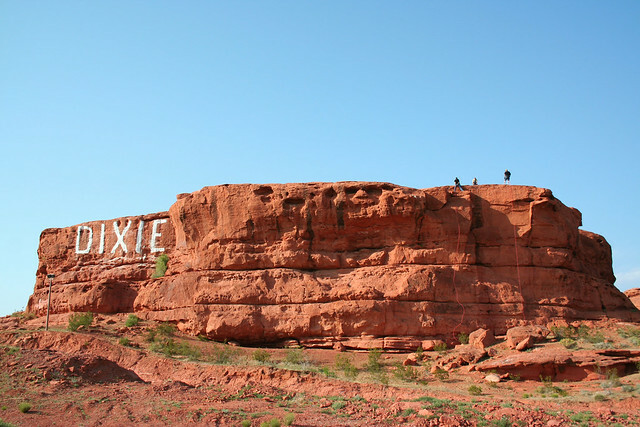 Take a West Temple picture at dawn, the rust-stained temple gives the best photographic view from the back side of the HHM (Human History Museum), and don’t forget to click the Great White Throne and catch the gorgeous backdrop of the beautiful red-rock canyons. The Park Service banned driving cars inside the canyon during the rush season from April to October. In summer you can use bicycles to tour the canyon or take Zion shuttle to go around the canyon, the ride is available from Springdale and inside the Zion Park. The ZCFI (Zion Canyon Field Institute) encourages educational hiking trips to their students to observe the park’s biology, archaeology and geology. The institute also takes their students for photography hiking tip. The famous Cedar Breaks National Monument located around 75 miles north of the park on the Colorado flat terrain that gives pleasure to visitors to view spires, sculpted hoodoos, and colorful and beautiful wildflowers. 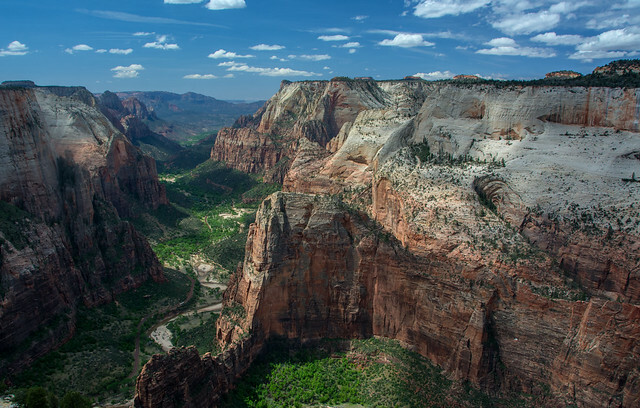 Zion National Park offers outstanding trails and much more excitement for hikers. It has everything for everyone and of every age group. The entire family can have fun at the park. Get the broacher and a map to explore the park for a terrific experience. This entry was posted in Area Attractions, National Parks on January 27, 2017 by OLWM. This entry was posted in blog, FREE Things To DO, National Parks and tagged cedar breaks national park, cedarbreaks, ceder breaks, ceder city, star party on September 6, 2012 by . This entry was posted in blog, National Parks, Travel Tips on May 26, 2012 by .